Different trade shows on additive manufacturing are conducted almost every week worldwide. It’s impossible and absolutely unnecessary to visit all of them. We’ve compiled a list of the top 3D printing trade shows in 2016 to help you navigate the diversity of the forthcoming events. Hopefully, you find our article helpful in making a decision what 3D print trade show to visit this year. STOM 2016 is the 9th Metal Processing, Tools and Machine Tools Fair STOM-TOOL. This is an exhibition cluster called Kielce’s Industrial Spring, a popular international 3d printing event held every March. The last year’s trade show gathered 6500 visitors and joined 545 companies working in sheet metal processing business-sector. Exhibitors from 26 countries represented 220 additive manufacturing machines during the event. STOM 2016 consists of a wide range of exhibitions: Metal Processing, Tools and Machine Tools, Fair of Metal Sheet Processing, Laser and Laser Technology Expo, Welding and Process Virtualization Expo, etc. The STOM showcase in 2016 will also display state-of-the-art technologies and machinery used in metal processing, including laser and water cutting systems, bending and forming, die shearing and painting, and machines and equipment used in the welding industry. This 3D print trade show boasts a pretty impressive list of more than 470 exhibitors from around the world (the USA, UK, Austria, France, China, Germany, Italy, Japan, Netherlands, Poland, Portugal, Spain, Sweden, Switzerland, South Korea, Turkey, etc). The world’s top companies like Autodesk, Aircraft, HAAS AUTOMATION Inc., SigmaTEK System and others have already registered to participate in the trade show. STOM 2016’s format allows direct B2B meetings between the participants for their business purposes. The price of the entrance ticket is 25 zł (about 6 Euro). MACH 2016 is a great trade show organized by Manufacturing Technologies Association (MTA), a UK trade association that concentrates on engineering-based manufacturing issues. This additive manufacturing trade show will cover technology issues such as Metalforming, Tooling & Workholding, Welding, Rapid Manufacturing, Rapid Prototyping, Engineering Lasers, Automation and Robotics. The previous MACH trade show, which took place in 2014, displayed more than 6,500 tonnes of machinery and attracted over 600 companies. That event brought together 23,352 visitors from different sectors of the manufacturing industry. According to the new exhibitors list, MACH 2016 will join over 600 exhibitors and is expected to outclass the preceding event. A vibrant seminar program covering some diverse 3D printing technology topics —included into the 2016 event agenda. Here are only some of the brilliant speakers invited: Michael Mychajiuk, Supply Chain Manager at Jaguar Land Rover; Rhys Herbert, Senior Economist at Lloyds Bank Commercial Banking; Paul Hingley, CMR Business Manager at Siemens PLC; Nick Foster, Research & Technologies Manager at Messier Bugatti Dowty; and Professor Jose Endrino, Head of Surface Engineering and Nanotechnology Institute. You can request for pricing info here. This is an international trade fair dedicated to generative manufacturing methods. This event’s goal is to provide information on the Rapid Prototyping status and development. Rapid Tech joins 3D printing technology developers, researchers and constructing engineers for the exchange of the innovative ideas in Rapid Prototyping sphere. Rapid Tech 2016 will host more than 230 exhibitors from 10 countries. 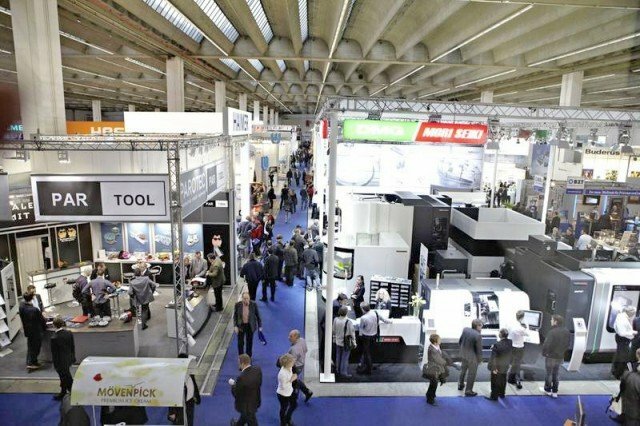 Top industry players such as GmbH, Stratasys GmbH, EOS GmbH, Concept Laser GmbH, Materialise GmbH, Keyence Deutschland GmbH and SLM Solutions GmbH are expected to visit the trade fair. Aviation, medicine, science and tools industries are represented on this 3D print trade fair. RapidTech offers a set of useful and exciting events to the attendees. These are the User’s Conference, the Design Engineers Day and industry-specific trade forums. The Rapid Tech User conference for 2016 is expected to join over 700 participants from scientific and user elite and will be dedicated to Additive manufacturing innovations. Tickets to the trade show cost from $75 to $249, depending on the events you are planning to visit (detailed information is here). The TCT Show + Personalize international trade show is conducted for the 21st year in a row. It’s dedicated to 3D printing, additive manufacturing and complementary product development technologies. The representatives of traditional manufacturing, including casting, molding and CNC machining, are also invited. Top 3D industry representatives including Stratasys, EOS, Materialise GmbH, and 3D Systems are among 100+ exhibitors invited to the trade show. Visitors will be able to access a wide range of 3D printing and additive manufacturing equipment with more than 300 machines expected in 2016. Moreover, this trade show will display all kinds of supporting hardware and software used for scanning and digitizing, product design and manufacturing. This event is expected to join almost 8,000 attendees from more than 50 countries. TCT Showhow also includes a TCT conference that covers the best Rapid Prototyping practices and their future improvements. You can also visit a seminar where Graham Tromans (President of GP Tromans Associates) will present a lecture “The Introduction to Additive Technologies.” Registration and pricing info for TCT Show 2016 can be found here. This is an international exhibition show and a conference about additive manufacturing and tool-making technologies. FormNext is a trade show that started very successfully in 2015. The trade show is managed by Messe Frankfurt and TCT. One of the major goals of the event is to demonstrate how additive and conventional manufacturing technologies can complement each other. The range of products displayed at the trade show is Tool and Die Making, Systems and Machines for Additive Technologies and 3D Printing, Gauge and Fixture Manufacturing, Machine Tools (Milling, Turning, Grinding, Erosion, Drilling, Waterjet Cutting, Laser machining), Surface Functionalization and Material Modification. Last year’s event gathered 235 exhibitors, including 3D Systems GmbH, Autodesk, Inc., EOS GmbH Electro Optical Systems, Materialise, Sigma Labs Inc., Stratasys GmbH. The FormNext conference will provide 3D print industry professionals the possibility to actively exchange experience and creative ideas. The international conference will be dedicated to the existing and new additive technologies application and their influence on product development and industrial production. You can find the info on tickets pricing here. It will be available in July 2016. Euromold is a long-running trade show for Mold and Pattern Making, Tooling, Design, Additive Manufacturing and Product Development. Euromold 2016 combines trade exhibition with an international conference and different smaller forums. 450+ international exhibitors were present at the 2015 year’s event including 3D Systems, Autodesk, Hewlett-Packard, etc. Euromold 2016 is expected to be popular as well. One of the most interesting Euromold events is the International Conference on Additive Manufacturing and 3D Printing. This conference joins top industry experts from across the world. It will cover the most exciting advances, trends and developments in the additive manufacturing domain. You’ll be able to listen to the following speakers: Dr.-Ing. Eberhard Döring, CEO at DEMAT GmbH; Mr. Jeff Kowalski, Senior Vice President and Chief Technology Officer at Autodesk;; Mr. Gordon Styles, President at Star Prototype China Limited; Mr. Rob Gorham ,Director of Operations at America Makes; and others. Other exciting events include Rapid 3D Printing Fashion Show and Design + Engineering Forum. The RAPID 3D Printing Fashion Show offers you a great possibility to see how 3D printing brings more creativity to fashion design. Design + Engineering Forum is a workshop in which you can learn about modern and future additive manufacturing possibilities, with special focus on Aerospace, Medical and Dental industries. Tickets cost 20-55 Euro (learn more about prices here). In our opinion, these are the top trade shows to attend in 2016. They will be visited by a large number of industry professionals, including world’s top 3D print companies. You’ll be able to visit conferences and listen to excellent speakers who have wide practical experience in 3D printing technology. We hope you’ll find the information useful and visit one or several of the recommended trade shows. Finishing 3D printed parts with... crayons? Why is 3D Printing So Attractive to Investors?